There are lots of curious cat behaviors, such as scratching, purring, and claiming every cardboard box in the house. But,kneading, or making biscuits, is probably one of the most endearing – yet perplexing – feline traits of them all. 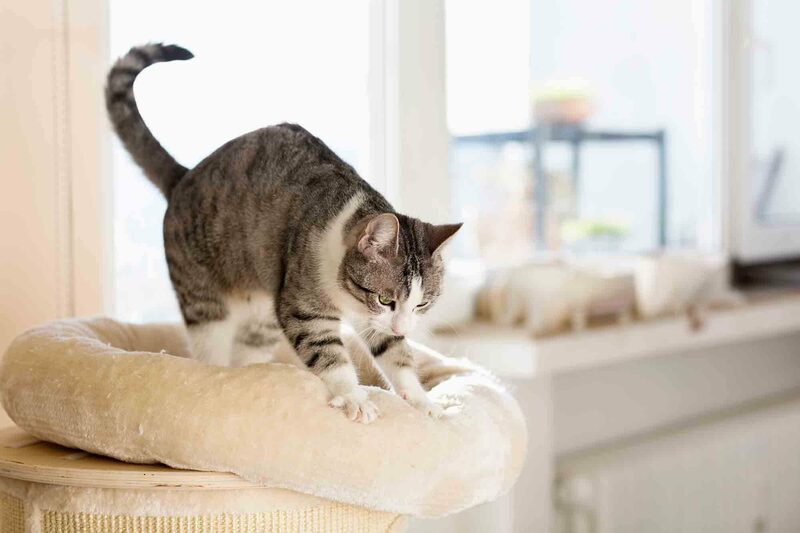 Sure, it’s cute and sweet –unless the claws come out, that is – but why exactly do cats knead? Cats are sometimes considered to be low maintenance. Put down some food and water, place a litter box in the corner, and you’re good, right? Actually, no! While cats are not necessarily the most demanding of pets, they do deserve attention, especially when it comes to veterinary care. Here is what your friends at New Haven want you to know about cat care.